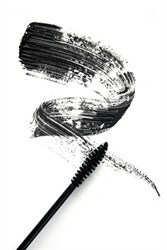 Precision and accuracy to serve one of the most important challenges of the modern cosmetics: efficacy control. Aware that the efficacy and the most rigorous tests of tolerance for complete and sharp validation of your cosmetics. Our tests are mostly conducted under dermatological control and are achievable both by in vivo and in vitro techniques. Whatever the specificity of the product is, Eurofins is able to meet yours needs for claims objectivation.